Think about the first thing you do once you get paid each month, do you go out for a lavish meal? Pay your bills? Perhaps a spontaneous purchase of an ice sculpture? The day you get paid, you should set aside a minimum of 10% of your net salary to pay yourself and use the funds for investments, then you can focus on your bills and everything else. Once you get in to the habit of doing this, you may find that you choose to up your monthly percentage that you invest to 20%, even 30%, because it can be extremely motivating once you start to see your money work for you and generate interest. This is an interesting one and will be different for everyone depending on your circumstances. 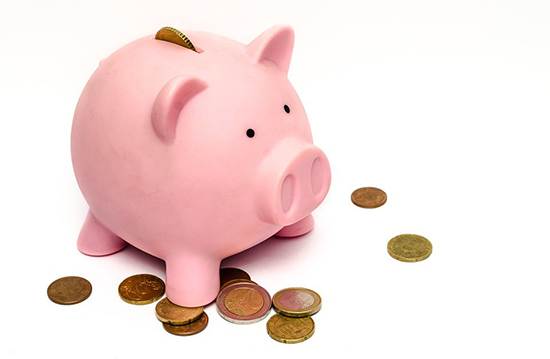 Some people may find it enough to have one month’s salary locked away in a savings account for a rainy day, others who are super cautious may have as much as 12 months’ salary saved. Let me ask you this, when have you ever needed funds totaling your annual salary at short notice? Sure, your car might stop working or you might have an unexpected leak on your roof that needs repair, but think to yourself if the amount you have saved in your emergency fund is realistically necessary. Now, we’re not saying you have to move in to your car, but how much do you really need that vente caramel cinnamon dolce latte with marshmallows and chocolate sprinkles from Starbucks every morning? €3 every working day on a coffee works out to €60 per month, or €720 per year! Instead of going cold turkey from your morning caffeine, try making a coffee at home and take it in a thermo flask so it’s still steaming hot by the time you get to your desk. By cutting back on regular purchases like this you will see your bank balance build up in no time. So to sum up our top money savings tips; set yourself a percentage goal each month for paying yourself first, review how realistic your emergency fund is and give Starbucks a miss. Take control of your finances and reap the rewards. P.S. With Bondora you can invest a minimum of €1, so get started here today.